Anna has been a friend and a mentor for more years than I care to remember. As a young poet in the late 1970s I had discovered New Poetry magazine and the Poets Union readings at the Royal Standard Hotel in Sydney. I began to meet poets and I read as widely as could among the small literary magazines and presses of the time. 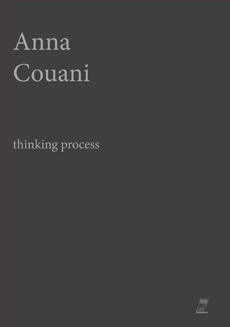 Then, I think it was in 1979, I came across Italy by Anna Couani (Rigmarole of the Hours 1977). There was also, later in Italy, a drawing of a doorway, with most of a cane chair, a mirror leaning up against the wall reflecting another chair and a window and a piece of paper pinned to the wall with the word ‘Poetry’ written on it. This picture, for me, encapsulates Anna’s work, both literary and visual. It is, on first glance, a simple line drawing of a room. But as it draws you in the complexity begins to unfold. There is the hidden window reflected in the mirror, is it a glimpse through the doorway? There is the intricate detail of the cane chair and the piece of paper/poetry hanging on the wall. if the poet also made the picture? something beautiful to see and touch. Mark Roberts is one of the founding editors of Rochford Street Review. His latest collection of poetry, Concrete Flamingos, was published by Island Press in 2016.